Great additions, hopefully they add the other saint knights as well, or at the very least Ikki (Phoenix). 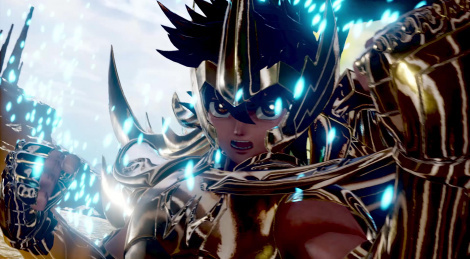 Jump Force may not end up having the best of fighting games' systems, but it sure is adding a lot of personality with so many characters. If it sells well enough, I'm sure the developers will improve on this game's shortcomings in a sequel. Not the best way to look at an upcoming game, but that's how many great franchises started. Just keep improving on the sequels until they are great. Knights of the Zodiac anime was so famous in my country in the 90's that our weebs convinced Ryo Mito (the same producer from DBZ series) to add the original Brazilian Portuguese dubs from the anime show in his fighting game Saint Seiya: Soldiers' Soul an updated version from Brave Soldiers. If there is any weebs waiting to play with these characters they should try Soldiers' Soul first but it is too bad that the game was never posted here on this site.